If the amount of trash found in US landfills were divvied up amongst all 316 million people, it would mean that we each toss out five pounds of trash per day. You read that right: Per day! 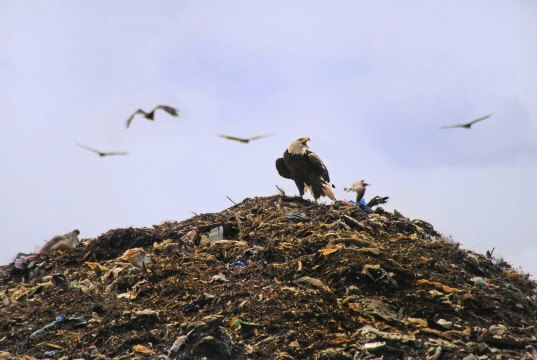 These findings come from Yale researchers who calculated the actual (instead of estimated) volume of garbage that landfills were reporting to the Environmental Protection Agency. The newest numbers suggest we are actually throwing out twice as much trash as previously thought. In 2010 the EPA required many municipal landfills to report how much trash was coming onto the property. This was mostly to monitor, and hopefully lower, dangerous methane emissions, yet the data proved to be useful in other ways. The EPA estimated that 135 million tons of trash was accumulated in the year 2012, yet the Yale researchers pored over the data and found that what was actually being thrown away was closer to 289 million tons. 2013’s numbers crept up another 5 million tons. Yikes. Bucknell University’s Thomas Kinnaman, who studies the economics of recycling and waste, suggested that these numbers aren’t as shocking as they appear to be, however. He argues that landfills have lots of room to expand to accommodate the rising tons of waste. Either way, the rubbish is adding up. If these numbers are accurate, does that mean that Americans aren’t recycling as much as they should? EPA estimates put recycling activity at 34.5%, yet John Powell, of the Yale study, says that the data represent more of a 21.4% ballpark. 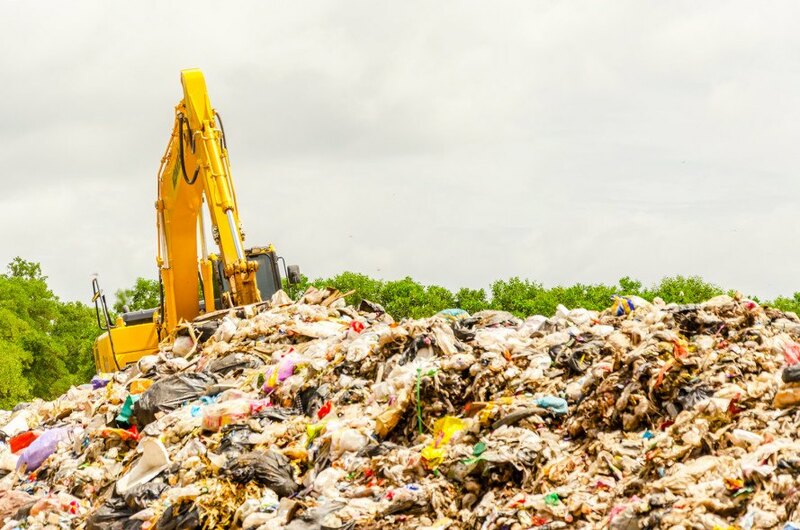 While 12.8% of landfill trash supposedly comes from construction and demolition debris, that still leaves a lot of waste for the everyday American.